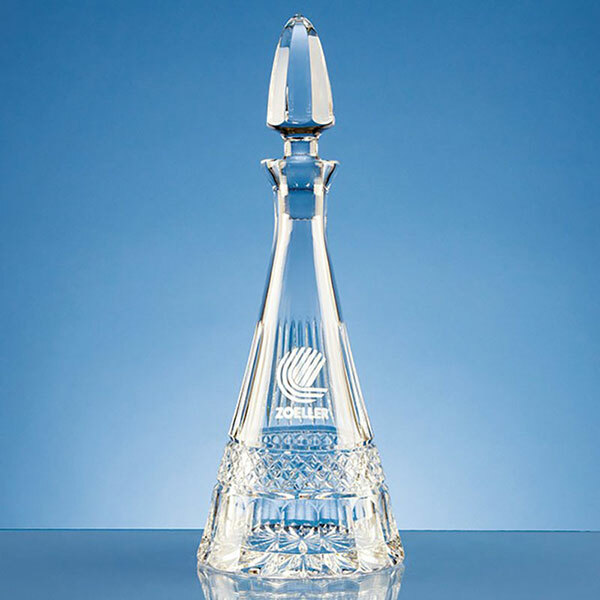 Lead crystal wine decanter R422 in stylish pyramid shape design with handcut decoration and a blank panel for engraving. These 0.75ltr decanters include a distinctive domed stopper and are offered with low-cost engraving and fast turnaround on your order. A distinctive wine decanter finely crafted in lead crystal with intricate handcut decoration around the base and fluted design on the body with a blank panel for engraving. 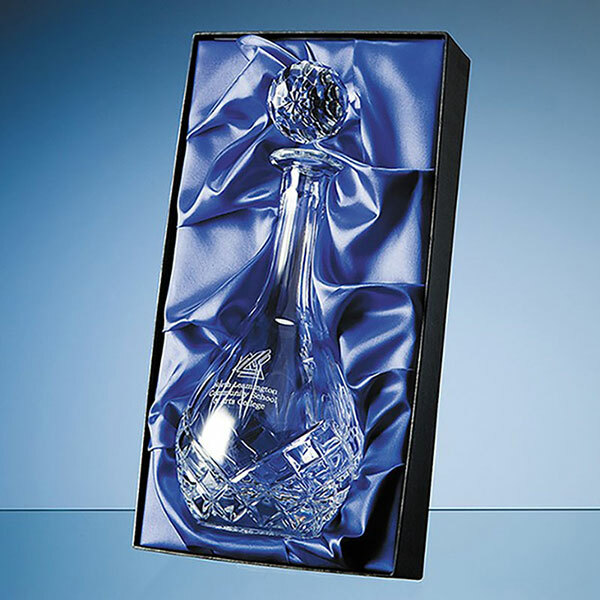 With a capacity of 0.75ltr (slightly more than a standard wine bottle) these pyramid-shaped crystal glass decanters are as practical as they are stylish and make outstanding personalised gifts or commemorative awards. They include a large dome-shaped stopper and are offered with low-cost engraving of your entire inscription. An optional fitted and lined presentation box is available for your engraved crystal wine decanter. Capacity: 0.75ltr. Weight: 1.4kg. Height: 335mm. Diameter: 128mm.